One day, Jesus decided to tell the people a story of Lazarus and the rich man. Jesus said, “There was once a very rich man. The rich man dressed elegantly and luxuriously in purple clothes every day. The rich man has a lot of food to eat every day. There was a beggar called Lazarus. Lazarus couldn’t walk and he was laid at his gate every day. 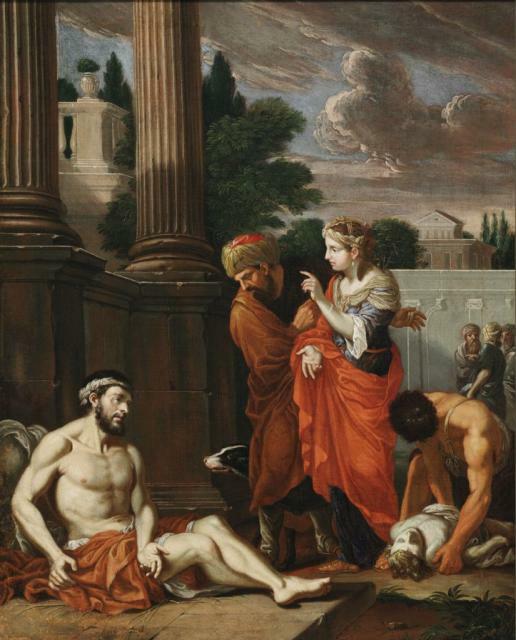 Lazarus has many sores on his body and the dog always comes to lick his wounds. Lazarus would be so happy if he can eat the leftovers that dropped from the rich man’s table. One day both the rich man and the beggar, Lazarus died. The angel carries Lazarus up to heaven to Abraham’s bosom whereas the rich man goes straight into hell and was burned in the ferocious flames.